HEARING AND SEEING GOD IN YOUR LIFE | Thoughts of a Calabarboy. HEARING AND SEEING GOD IN YOUR LIFE – Thoughts of a Calabarboy. So we pile up spiritual things. Things that give us the feeling that we are squared with God. 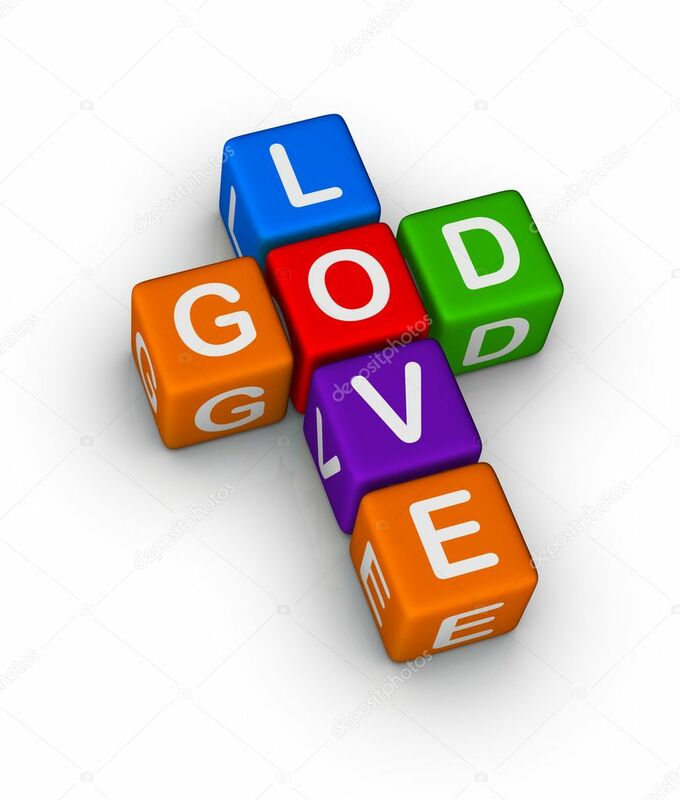 The morning devotion, the prayer meetings, the church activity, the financial obligation, the sacrificial giving, all push the tiles from our side of the board to His. We feel supercharged then sit back and expect dramatic moves from His side or we nicely find the ‘trust’ to explain it away when nothing of such happens. Yet, deep within us, silent frustrations bubble because we feel like a person in a long distance relationship with no hope of seeing the beloved one. Sadly, It gets very tiring and some Sundays, you just don’t feel like doing that routine again. In truth, I have not found any ‘answers’ to these issues in my life. If I had, perhaps I might be qualified to diagnose and advise on another person’s similar spiritual circumstance. What I have found is an experience; an ongoing process of understanding my condition and how faulty my foundation has been, and that in turn has opened a new vista through which so much light is dispelling my darkness. That unacknowledged fear was the substance at the base of my faith was unquestioned. Either the fear of missing out on the joys of walking the streets of gold, or the fear of not meeting up on His demands, it had the same premise. It was rooted in a distorted perception of who God really is, and this was primarily nurtured by the religion I practiced, flowing from how I was introduced to it. I came to realise that it was always all about me and the level of control I wanted to have in my spiritual experience. I wanted that magic switch I could turn on and off at will and expect a heavenly response to my call for action. Interestingly, I have never succeeded at this in my human relationships. I gradually understood that God wasn’t a ‘Drama King’; He doesn’t rise and fall on the chords of my compositions, neither will He try to prove the point of His existence to retain my loyalty. He is a person, with a great personality, and loves a great relationship that is simple and real. That is all He has desired for me all my life; a functional relationship with Him that gradually transmits His DNA into me. He is in love with me so deeply that it is clear I am yet to fully comprehend it or maybe develop my capacity to receive that precious love. That single understanding of His Person, Personality and the love relationship He has initiated with me, led me to start relating to God differently. Obviously you behave differently when you are around someone you know is greatly in love with you. I had to grow in sensitivity to His Person, and what He was continuously up to around me. Jesus put it this way: “Very truly I tell you, the Son can do nothing by Himself; He can only do what He sees His Father doing, because whatever the Father does the Son also does” (John 5:19). Profound! In effect, Jesus was saying that He watches to see what His Father is doing and joins Him to do just that. There is no greater honour a son can give to his Father than that. The more I become sensitive, excitingly, I find His activities in the strangest of places. I see Him move in places like the parking lot after the service, in the conversations with the stranger I give a ride down the road, or the weary eyes of the nursing mother who asks for alms. Then He suggests gently from beneath the thumping of my heart beat “why don’t you have a conversation with her after giving her some money.” He makes sure I catch a glimpse of an uncomely man in church and suggests I say hello to him after the service, or maybe take him out for lunch. Back home He interjects my morning routine to suggest I invite the neighbours for a Saturday morning breakfast. Everyday I find Him speaking about the things I consider peripheral to my spiritual journey. The experience has also greatly altered my prayer life. Usually, after brief moments of praise and worship, it was about reeling out a laundry list of desires for myself and others and standing up from the prayer place feeling satisfied with fulfilling the spiritual requirement to pray. These days, I learn to speak less and listen more in the place of prayer. Truly, if we were to meet Him in person, our tongues will cleave to the roof of the mouth and speech will be unwilling. Because prayer is as much a time of fellowship with Him as is worship, He frequently interjects our thoughts and speech, reminding us of all kinds of things, especially things that border on our character. He reminds us to keep an appointment or pay what is owed, because He is more interested in our character than the charisma we display. When I meditate on all these, I realised that He has always spoken to me all my life. He has been speaking over and over, sometimes so loud that I rebuke Him. Most times I just ignore the simplicity of His voice, or enjoy the soberness of the thoughts with no commitment to action. Nevertheless, He continues to speak, not minding that my attention is solely focused on definitive ‘big ticket’ earthly goals, which I hope my faith and loyalty to Him will draw his sympathy. I remember that one of the biggest lessons I learnt was what He told me when I was right in the middle of a character flop. He never left me. He never forsook me. It was only in His light I could see light. His love for me is so profound that my mind cannot possibly fathom it. This I believe is why Paul prayed for the Ephesians, that they may be able to grasp the amazing dimensions of God’s love that surpasses knowledge, for that is the only way they can experience the fullness of God (Eph. 3:16-19). Accepting and walking in this Unconditional Love is probably the most powerful thing any believer will ever do. Sadly it does also appear to be the most difficult thing to do. Most believers have been raised in a context of conditional love, right from the type of homes they were raised in. It was a reward system that shaped our notion of the world and introduced us into intense competition in the market place of life. This was reinforced at home, school, and church. Most children will not run first to daddy or mummy to confess when they do wrong, or something embarrassing happens to them. They will first try to hide the sin or condition. Neither is the church a place where people run to share their weaknesses, faults, or failures. So there is a fundamental crack in the foundation of our faith, which should have been formed right from home — our parents also do not even understand what this means. Remember that part of Paul’s prayer was that we be “rooted and grounded in love” (Eph. 3:17). My friend recently had his first child and wasn’t sure how he will deal with the emotions of seeing the child for the first time. But when he held his daughter in his hands that day, he fell so deeply in love with her that hot tears streamed down his cheeks. That baby did NOTHING but just snuggle into his hands and become so loved. When your Heavenly Father looks at you what do you think wells up in His heart for you? This is what we need to catch a revelation of. This is the point He becomes very real in a persons’ life. When you understand this, everything changes and you walk into absolute freedom to be who exactly He made you to be. It will destroy the fear, uncertainty, strife, sin, weariness, and bring you into a kind of rest where nothing moves you and you cease from your struggles. This is the kind of love you must teach your children at home so they grow up rooted in unconditional love. This will help build a correct perspective and perception of God. Our Heavenly Father does nothing outside of His love for us. Love is the essence of His being and He cannot be different from His substance, neither can He act otherwise because He simply cannot or will be violating His very nature. His love is the only virtue that reproduces its kind in the hearts of men and can transform the worst of men and bring them back from the brink of destruction. When you comprehend this, you will understand true worship, cheerful giving, loving sacrifice, and ultimately, pure freedom. Whenever you come before Him, there will be resonance because what’s in Him is in you, and the joy of living will flow endlessly from your heart towards others. God is in love with mankind and that’s why you will find Him in the lowliest of places, where people are in dire need of His love. That’s why when you come into His love, you will tend towards such places, and become more sensitive to the people needing love around you. You will find God at work in the messenger or cleaner in your office who wondrously survives on 1/20 of your salary, or the lady with 4 kids who sells you recharge cards as her only income. You will easily see Him in fellowship with that gateman guarding you living quarters, as well as the that man or woman caught under the terrible weight of the guilt of sin. He is showing love to everyone, everywhere irrespective of race or religion, and causing His rain and sunshine to fall on both the just and the unjust. So my friend, if you ever ask Him for anything again in your lifetime, ask Him to open your eyes to understand the depth of His love for you, and for you to walk in the reality of that love. It changes EVERYTHING! Everything else in my life is fading away as I come to walk in the reality of His love for me, and He becomes my centre of attraction. I kind of understand now what Jesus said to Peter in wrapping up His earthly assignment: “Peter, do you love me more than these?” It is all about The Father’s love for us. I encourage you to take out time and study the Book of John, particularly chapters 5 – 10. God is love and you will only see and hear Him in the reality of that love as you walk and grow in it daily.